Minh Man Dang Nguyen was arrested over three years ago for taking photographs at a protest and sentenced to nine years in prison on subversion charges. On 28 November, in protest of ill-treatment she has received while in detention, she began a hunger strike. Minh Man’s case epitomises the current state of affairs in Vietnam, where authorities are systematically restricting freedom of expression by arbitrarily detaining journalists, bloggers and human rights activists. 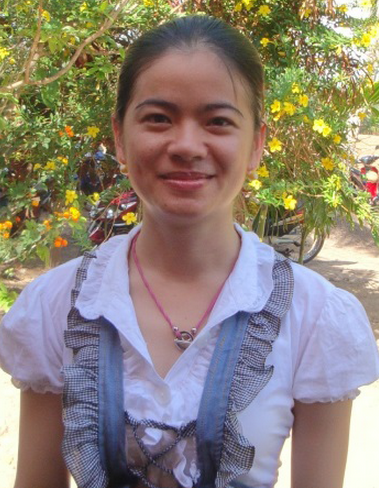 Minh Man was arrested on 31 July 2011 alongside her mother and brother. Their family home was searched by police who confiscated Minh Man’s camera, which has not been returned to her since. 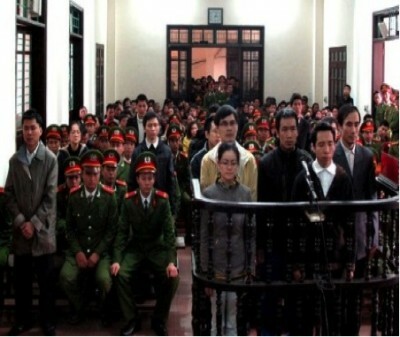 The trial took place at the People’s Court of Nghe An Province, which has a long history of imbalanced decision-making and lack of due process. Despite the fact that a large number of defendants were standing trial, the trial itself only lasted two days. Defendants were given only five minutes to address the judge, and could only respond to questions with a “yes” or “no” answer. Several independent journalists and international observers were denied access to the proceedings. The court handed down a sentence of nine years imprisonment and three months house arrest for Minh Man. Her mother was given a three-year prison sentence, which is now complete. Her brother endured a suspended sentence of three years. The harsh sentences of the People’s Court have not only had an effect on Minh Man, her mother and her brother. Minh Man’s father on several occasions has been subjected to coercion, undue pressure and surveillance by the Vietnamese authorities following the arrest of his family. A local police officer even went so far as to dissuade him from seeking legal support or representation for Minh Man, and was ordered to say that his wife and daughter had gone to work in Saigon if asked about the arrest. Minh Man was sentenced under Article 79(1) of the Criminal Code as an “active participant” in committing “criminal activities aimed at overthrowing the people’s administration” and therefore received a much higher penalty than many of her co-defendants. She currently continues to serve her nine year prison sentence in Camp No. 5, Yen Dinh, in Thanh Hoa Province. Conditions there are severe, and she is made to perform arduous physical labour. On 16 November, Minh Man and three other prisoners of conscience were placed in near-solitary confinement for unknown reasons. 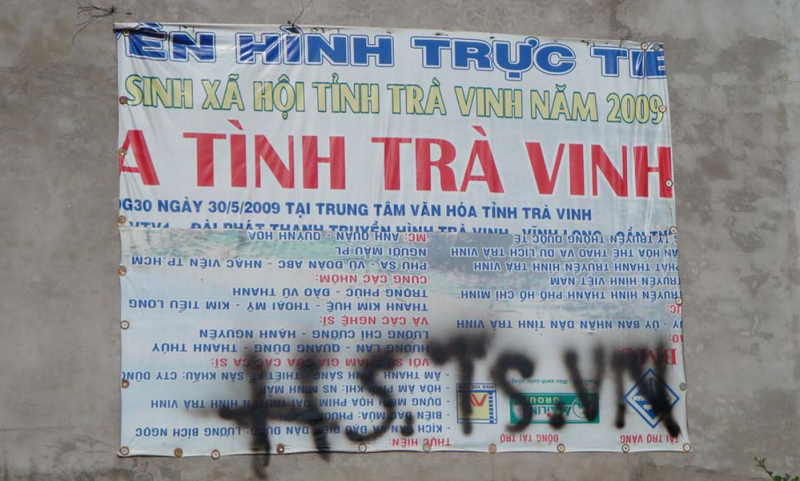 On 28 November 2014, Minh Man went on hunger strike in protest of this unfair treatment; she is being held in a cell with triple concrete walls together with one other prisoner. Minh Man's hunger strike and precarious health situation have increased the urgency of her situation and drawn the attention of international advocates. Last week, a student law clinic in Zagreb, Croatia filed a petition to the UN Working Group on Arbitrary Detention (UNWGAD) on behalf of jailed photo journalist. Trained in international human rights doctrine by leading professors from Oxford and Zagreb Universities, the students researched, drafted and filed petitions on behalf of a number of clients. Apart from Minh Man, petitions were also being drafted on behalf of Vietnamese political blogger Dieu Cay, who was released on 21 October 2014, and Myanmar editor Tin San. The Media Legal Defence Initiative (MLDI), together with Garden Court Chambers and Zagreb University, provided clinical legal supervision to the students at every step of the process. Despite the fact that Vietnam recognises freedom of expression as a constitutional right, it has consistently received negative press freedom ratings. Reporters Without Borders, for example, has placed only six countries below Vietnam in terms of press freedom. Unfortunately Minh Man’s case is yet another example of the Vietnamese authorities suppressing free speech and dissent by way of vaguely defined or fabricated offences. By filing a petition with the UNWGAD, the law clinic in Zagreb hopes to raise awareness of Minh Man’s position and hopefully achieve the positive outcome that has already been seen this year in the Dieu Cay case. Nani Jansen is the Legal Director of the Media Legal Defence Initiative (MLDI), a global legal support organization that helps journalists, bloggers, and independent media outlets defend their rights by offering both financial assistance and substantive litigation support. Jonathan McCully studied law at Trinity College, Dublin (LL.B), and is a recent graduate of the London School of Economics and Political Science (LL.M). He is a frequent contributor to Inforrm’s Blog, and is currently volunteering at the MLDI.